The property is nice and there is a lot of outside space if you have a dog.submitted by Jesse J. - May 19, 2017 |Recommended: YesSome of the things in the apartment fall apart easily. The staff is usually very nice and helpful. Great place to livesubmitted by Lindsay M. - May 18, 2017 |Recommended: YesThis is the first apartment I have lived in. I haven't even been here a week, but I love it already.These apartments are so nice and more than I really expected. There is always enough room for parking even when I come home late from a shift at work. The overall appearance of the apartment complex is beautiful Also the staff is very helpful and always replies to emails in a timely fashion. A truly wonderful experience.submitted by Rav'n N. - Mar 31, 2017 |Recommended: YesI was definitely not dissatisfied with my stay here at Battlefield Park. I would recommend this TLC property to anyone who was looking for good service and newer facilities. Battlefield Park is one of the most quality TLC properties, in my opinion. The grounds are kept, the office staff are knowledgeable and fix issues in timely fashion. No real complaints. The property is nice in comparison to other apartments.submitted by Sarah C. - Feb 22, 2017 |Recommended: YesI love our apartment and all that is included. We do live underneath someone and they tend to be loud. Sometimes the noise from our neighbors walking alone is ridiculous because of the squeaky floors. Unfortunately, we were told there is nothing we can do about it. Otherwise, the landscaping is well kept and the office is very quick in responses. Great quality for the pricesubmitted by Daniel P. - Feb 12, 2017 |Recommended: YesIt's a great community. I like that it's not too busy, yet you see plenty of people around, and most people seem respectful of others. It's nice to see a place that keeps up with it's overall aesthetic appeal, while not being over the top. I like the variety of amenities as well as the quality of them. The pool is quite busy in the summer, but it's nice. The fitness room is great for the size of the complex. The staff are friendly and helpful. Best management in Springfieldsubmitted by Alex C. - Jan 29, 2017 |Recommended: YesMost up to date of any apartments in springfield for the price and the maintenance crew is incredibly fast and helpful. Noise can be loud at times but its a college town so you will get that in most apartments in springfield. Overall love living here. This is the best apartment I have had in springfield.submitted by Celia G. - Jan 23, 2017 |Recommended: YesI love the complex. The staff is wonderful and the apartments are updated and work great. Only complaints are minor. Things like the dog poop everywhere, buckeye casings that hurt my dogs feet near the closest station, the laundry facilities are insufficient. There are only two washers and two dryers for all 10 buildings, also they cost 3.25 to wash and dry one load. If you have your own washer and dryer this is a great complex. I would and have recommended them to a friend. I think this property is amazingsubmitted by Jasmine C. - Jan 19, 2017 |Recommended: YesThis property is quick to help, very personable. 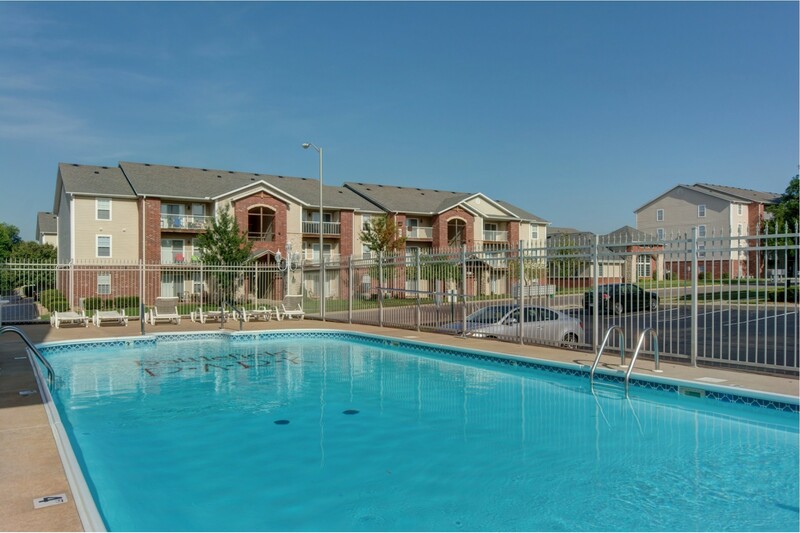 Battlefield Park Apartments takes situations and makes them work for every resident. Replysubmitted by Starla W. - Jan 03, 2017 |Recommended: Yes. Great place to live, minimal problemssubmitted by Alexis G. - Dec 26, 2016 |Recommended: YesSo far I've absolutely loved living here. Everything is great. My only complaint is that I can very easily hear my next door neighbors, and often the people below me I know the people below me can definitely hear me walking.